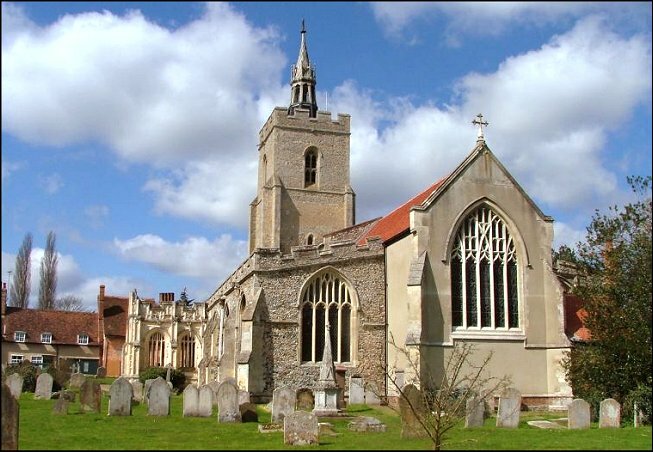 I had spent a long time in Norfolk, almost two years, without visiting hardly a single Suffolk church. Well, it was time to put that right, and I had a new bike, so I got my long-suffering and saintly wife to drop me off in Boxford so I could restart my journey. 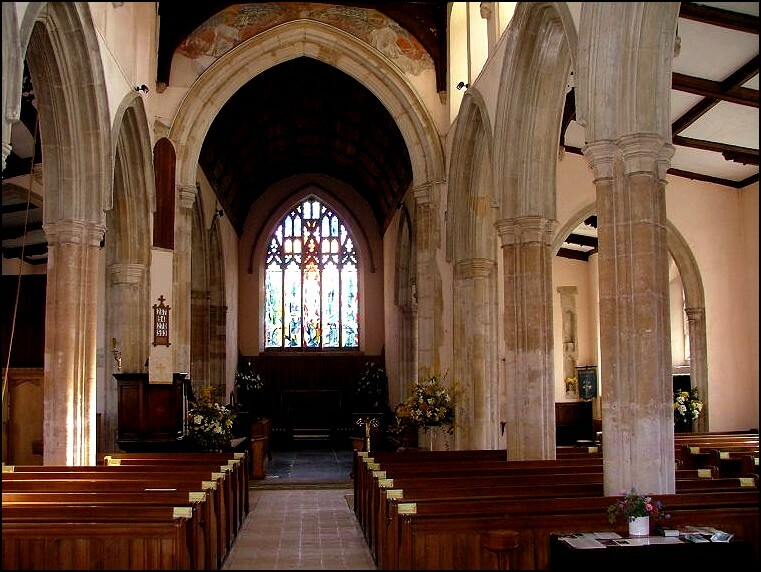 Boxford has always been one of my favourite Suffolk villages, and its church one of my favourite churches. It is a fine village indeed, with more than one pub, a couple of decent shops, and the prettiest high street you can imagine. I always wonder why it is not better known. Perhaps it is simply that it is not terribly convenient for London commuters, and so amen to that. 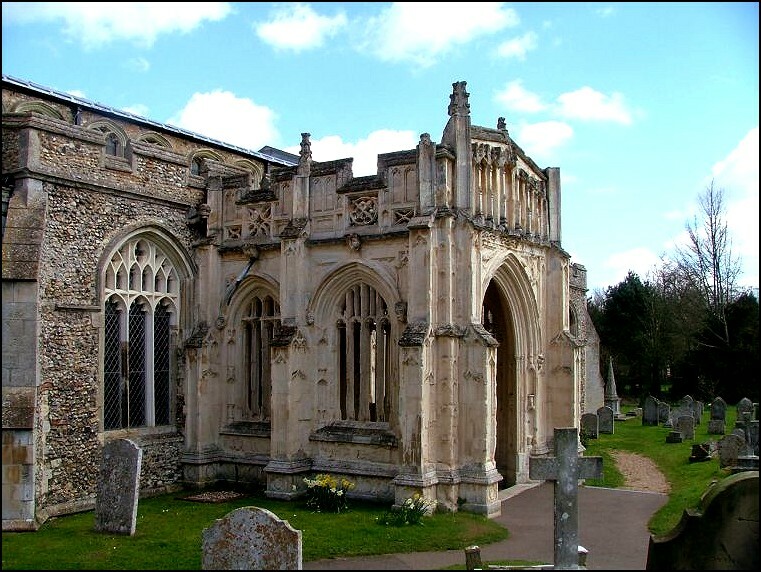 And St Mary is a church of outstanding interest, both inside and out, and should feature in anyone's Suffolk top 20. Simon Jenkins completely missed it in his book The Thousand Best Churches In England That I've Heard Of, and perhaps amen to that as well. Boxford was one of the wealthy 15th century cloth-producing villages, and it still has that healthy urban quality you get in these places, as if they still busy themselves independently of the modern world. If you are fed up with the crowds at nearby Lavenham, then come here insteas - or, perhaps, don't. For it is still possible to be the only visitor wandering about here, and we wouldn't want that spoiled. St Mary is on a rise, near the centre of the village. 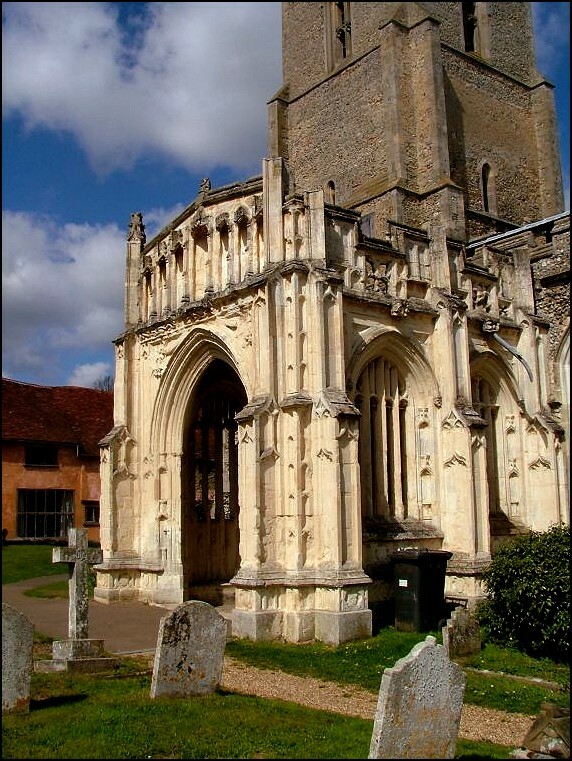 Like nearby Kersey, it presents its north face to the village, but its grandest aspect is from the south. 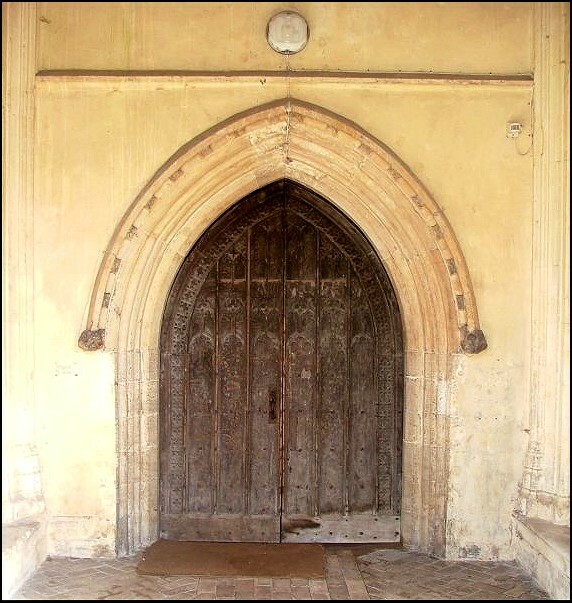 The north porch, the usual entrance, is perhaps Suffolk's finest 14th century wooden porch, and the oldest part of the external structure. 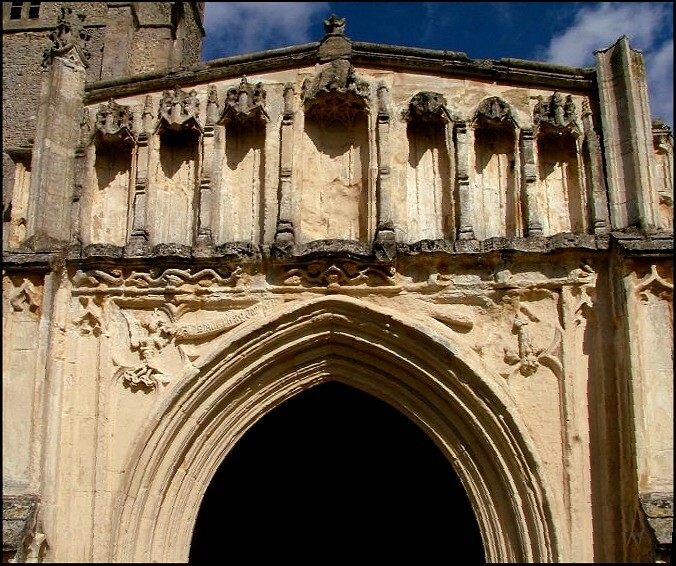 The south porch, however, is one of the county's grandest 15th century affairs, in bright stone. Six elegant niches line the top, flanking a larger seventh. 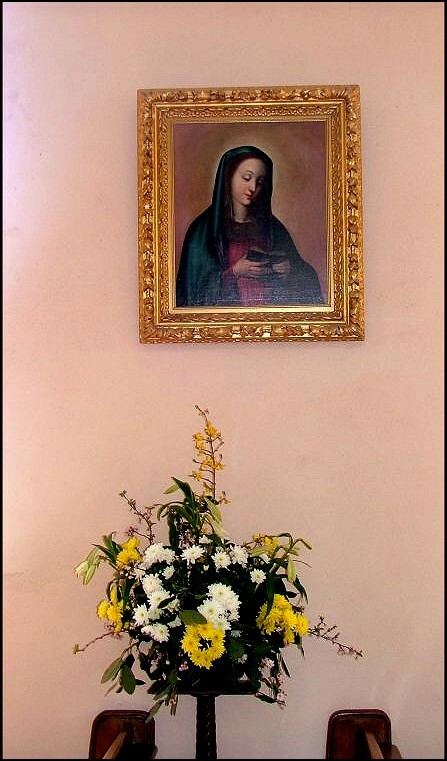 In the spandrils are an angel and the Blessed Virgin, depicting the Annunciation. 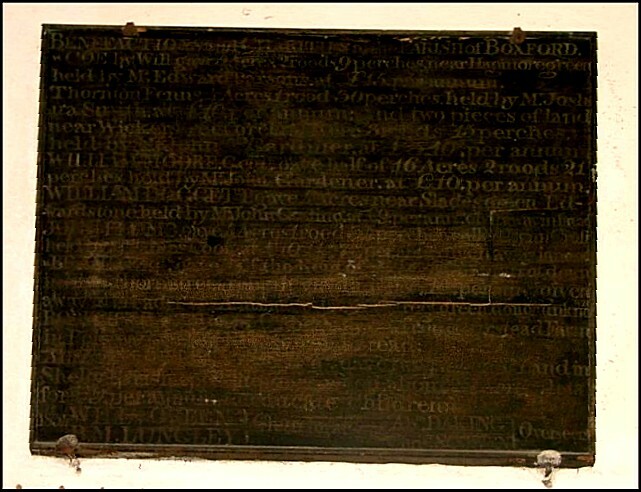 It is still possible to pick out the Hail Mary inscribed on the angel's banner. 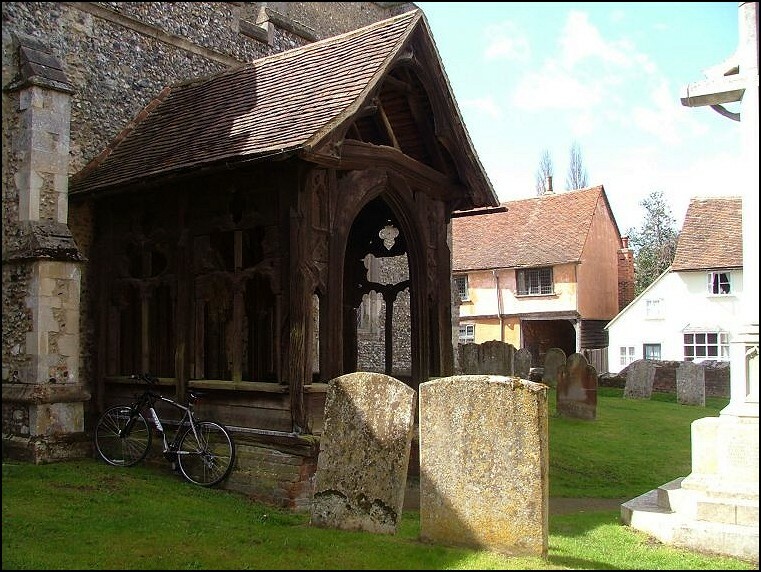 Again, as at Kersey, the donors paid for a porch on the less-used side of the building, perhaps because there was already a fine porch to the north, a reminder that these buildings were raised as parish churches, not village ones. Above these porches, the 14th century tower rises, a century older now than the church against it. Perhaps it would have been rebuilt, if the Reformation had not intervened. 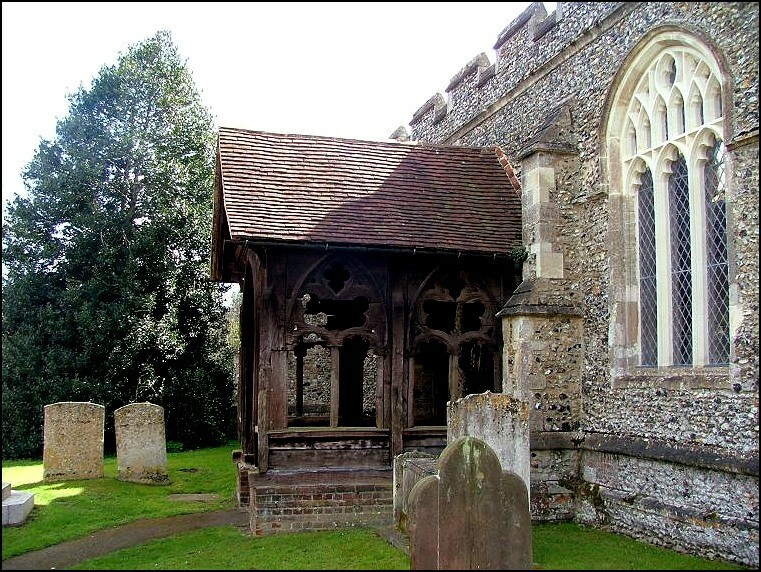 Still, it is elegant and beautiful, decorated with grotesques, and topped by a little wood and lead spire. This repays another look, since it is bedecked with Perpendicular flying buttresses. The slate sundial below is also attractive. 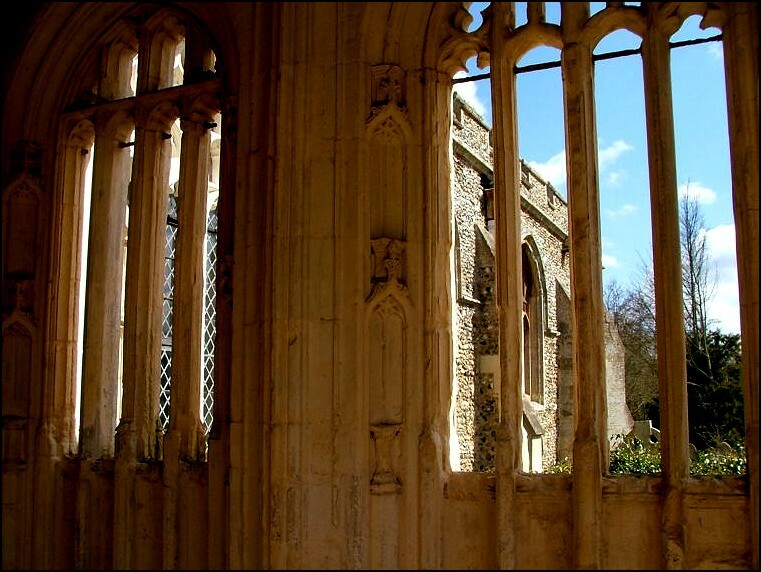 St Mary is open every day to visitors. 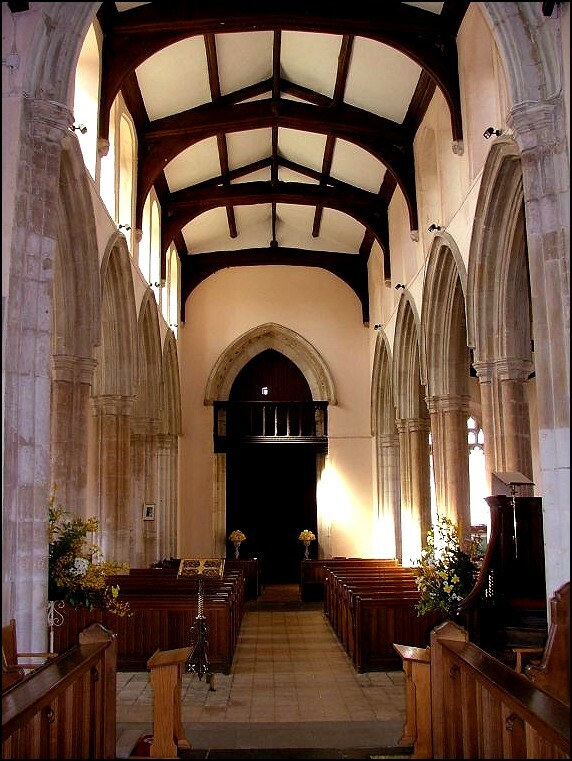 Whether you enter from the north or the south you step into a bright, clean interior, the light from the clerestory filling the nave and aisles. This is a great barn of light, the only colour coming from the glass of the east window. 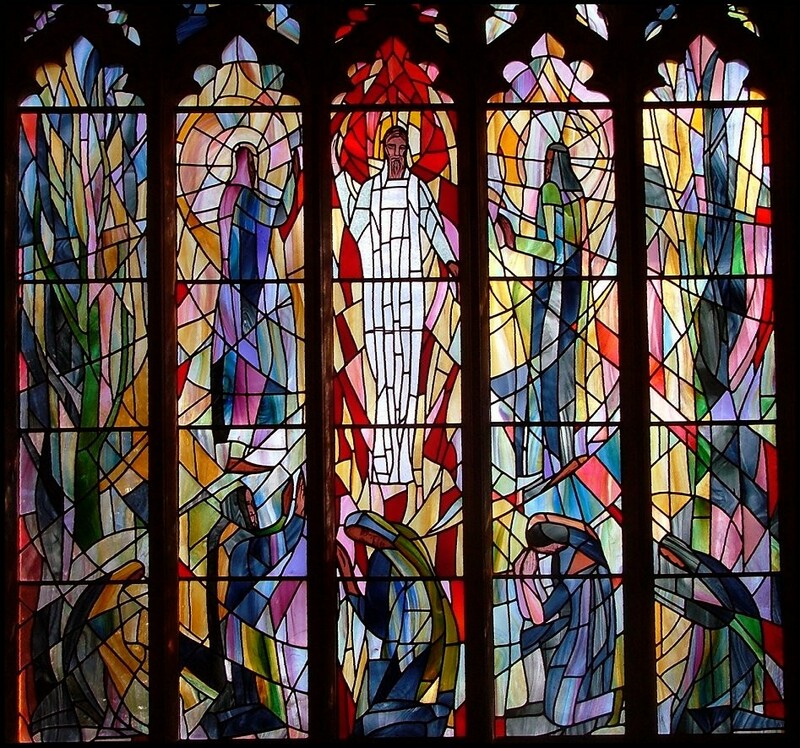 This is by Rosemary Rutherford, and depicts the Transfiguration in flowing chunks of colour, which lends the chancel an air of mystery, giving it a feeling of devotion and prayer. 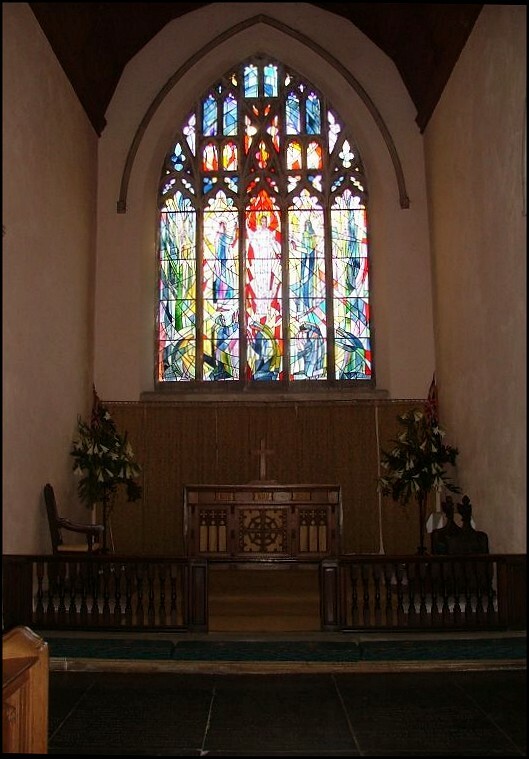 Rosemary Rutherford died young in 1972, but her work can be found at a number of churches, including Hinderclay in Suffolk. 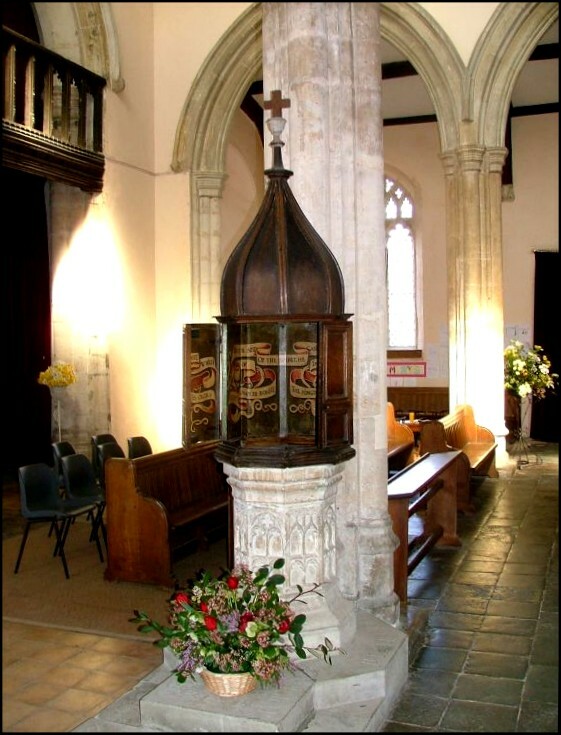 As I say, St Mary has an interior of great interest, and perhaps the most famous object here is the striking 17th century font cover, which opens out like the one at Bramford. Inside, there are painted ribbons with quotes from St John's Gospel. Two are taken from Nicodemus' question and Christ's answer: How can a man be borne which is olde? and Except a man be borne of water and of the spirit, he cannot enter into the Kingdom of God. 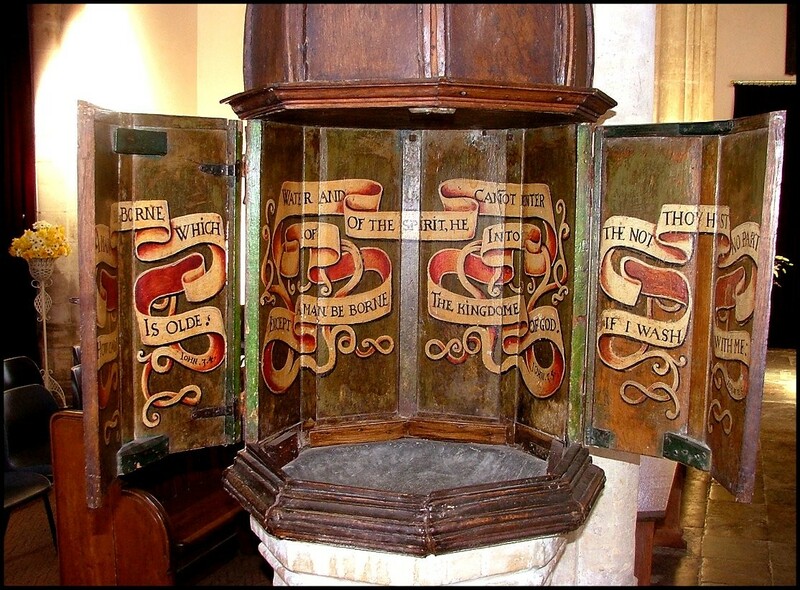 The other is from the Last Supper: Christ's answer, when Peter baulks at Christ washing his feet: If I wash the(e) not thou hast no part with me. 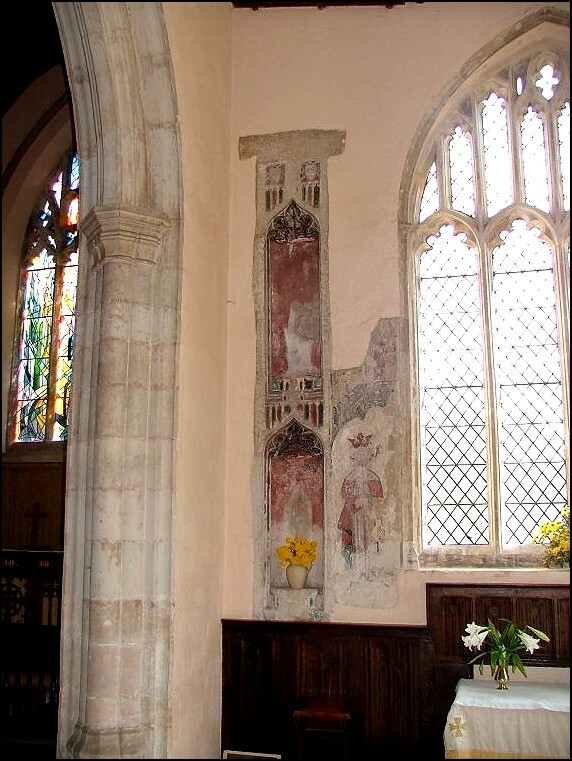 The south aisle chapel has gorgeous niches either side of the east window, with remains of wall-painting in. 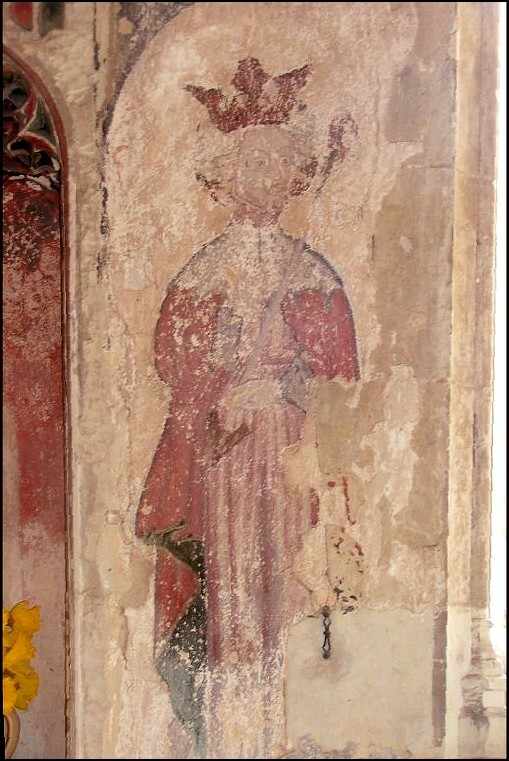 St Edmund stands to the north of the altar. 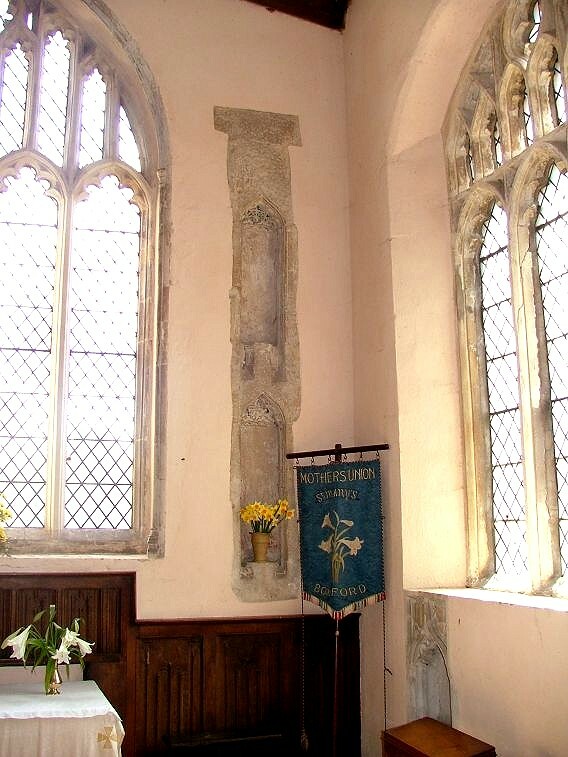 This village was so busy and prosperous, Mortlock notes that there were no less than four Chantry guilds here, at least one of which must have had its altar here. 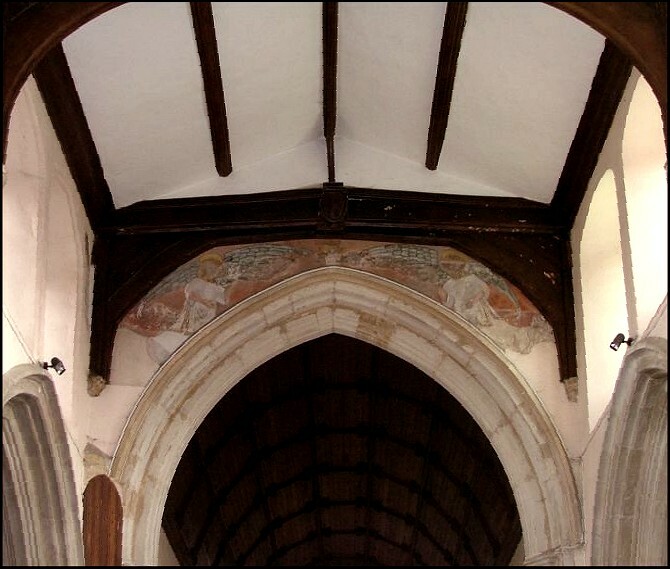 Although nothing remains of the rood screen, it is clear that the rood loft must have extended over the parclose screens of the chantry chapels, as at Dennington. Boxford has more than its fair share of intriguing post-Reformation memorials, some in brass, some in stone. This still really must have been a busy place in the 17th and 18th centuries. Two that are particularly worth a look are in the south aisle chapel. 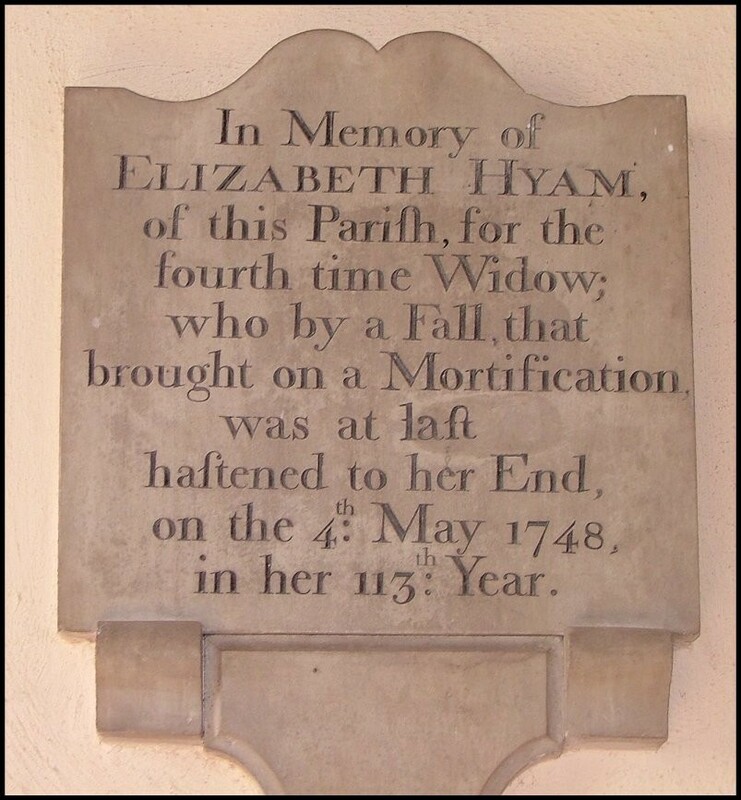 One is for Elizabeth Hyam, a remarkable woman who died at the age of 113 in 1748. We have no way of knowing how much this is an exaggeration, but she may well have been born in the reign of Charles I, and was perhaps the last person in Suffolk to remember the English Civil War. She was already a nine year old girl when Dowsing was doing the rounds. People born when she died could conceivably, in their old age, have seen the Oxford Movement rise to prominence. The other memorial is rather more pathetic. It is a tiny brass, set in the floor. 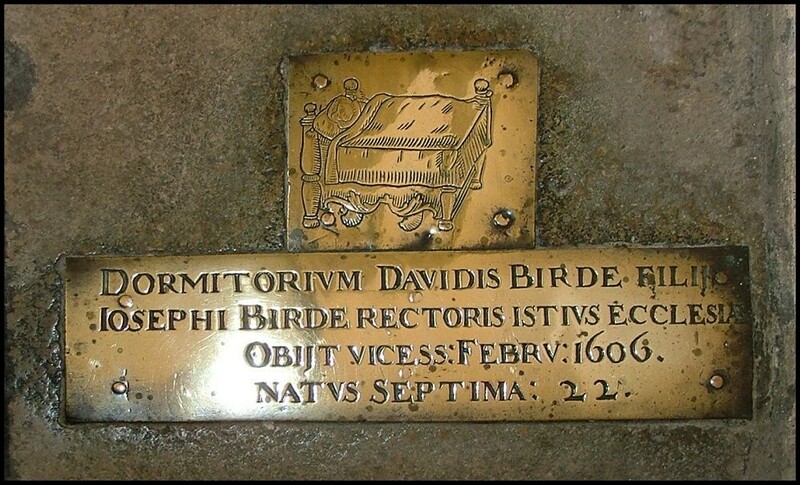 It is to David Birde, a Rector's son, who died at the age of a few months in 1606. He lies in his bed, with two little shoes under it. 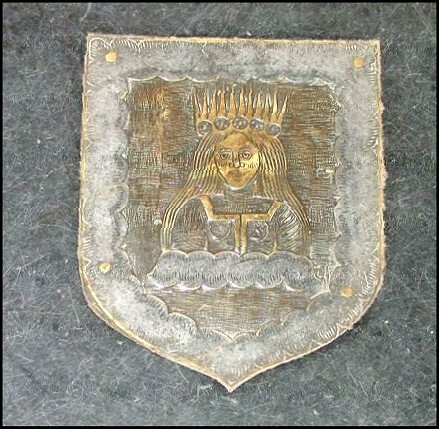 Another little brass shield, once part of a larger composition, depicts the Blessed Virgin as the Queen of Heaven, and is probably early 16th century. 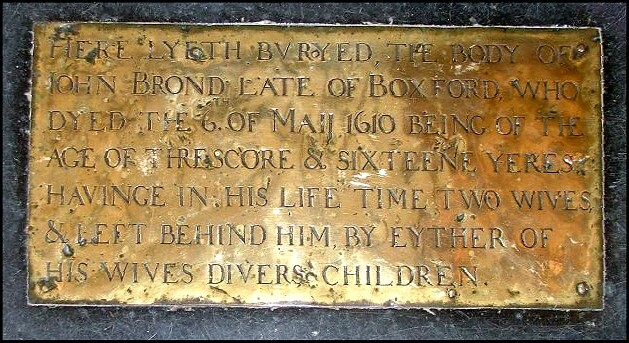 Another, later, brass remembers William Doggett, Merchant Adventurer. 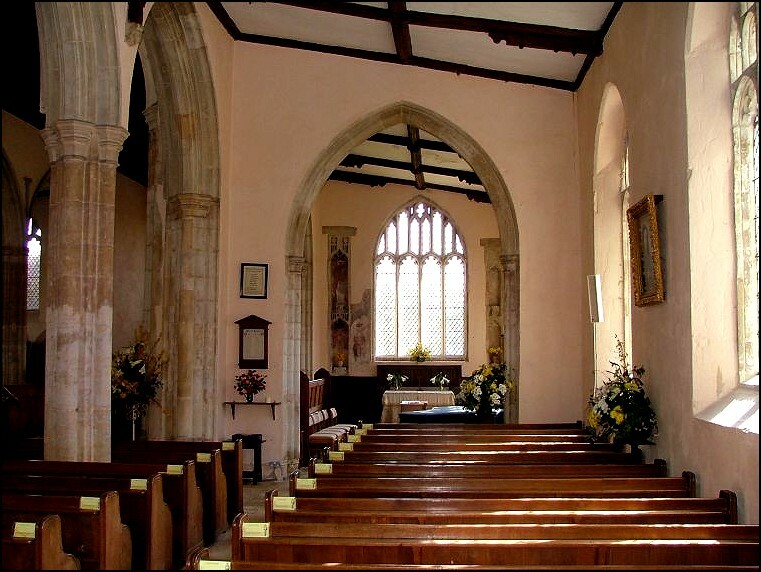 This is a gorgeous church in a lovely village, and should not be missed. After a pint at the Fleece, you could do worse than climb the hill to the outskirts of the village, where you will find another fine medieval church, St Bartholomew, Groton. This was the home church of the Winthrops, who invented Massachusetts.